Item # 299739 Stash Points: 799 (?) This is the number of points you get in The Zumiez Stash for purchasing this item. Stash points are redeemable for exclusive rewards only available to Zumiez Stash members. To redeem your points check out the rewards catalog on thestash.zumiez.com. 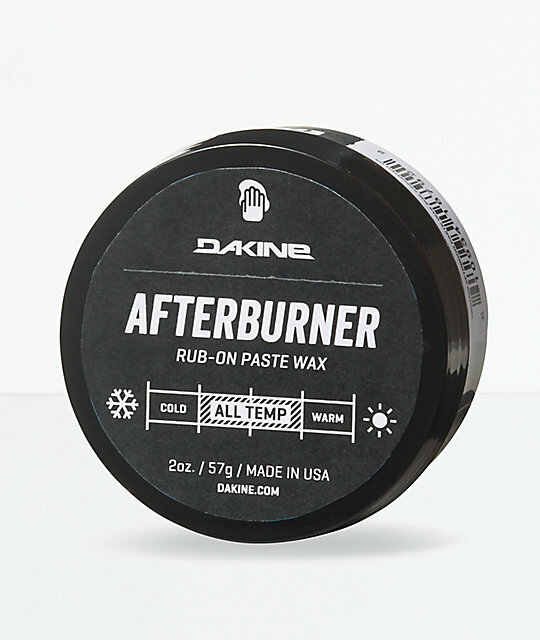 Be your own ski-tech, even on the go with the Dakine Afterburner Paste Wax. This wax comes with an easy to use sponge style applicator and is extremely portable in size. 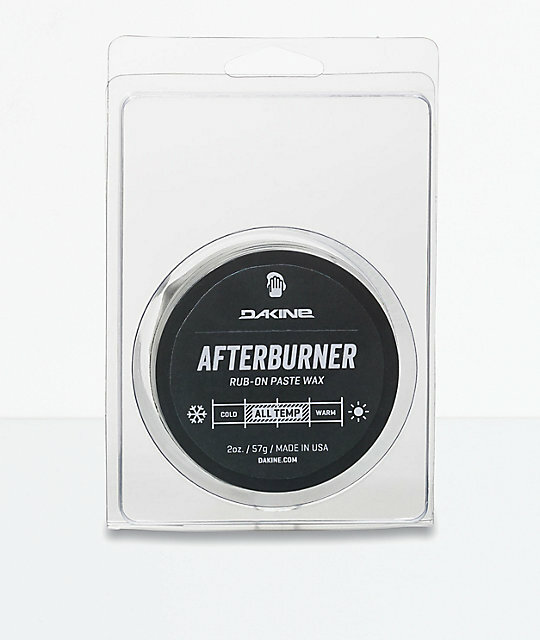 Usable for all temperatures, make the Dakine Afterburner Paste Wax your pocket companion this winter. Easy one-step rub on buff application. High octane formula best option aside from hot waxing. 2oz. [ 57g ] of fluid all-temp wax for skis & snowboard bases. Limited 2-year warranty through manufacturer.